It’s been a while since I last left something here, but I’m back with one more Vocabulary Race Competition. We still have some time to help our students prepare for the end-of-school exam. How about teaching them ten phrases relevant to shopping and services? 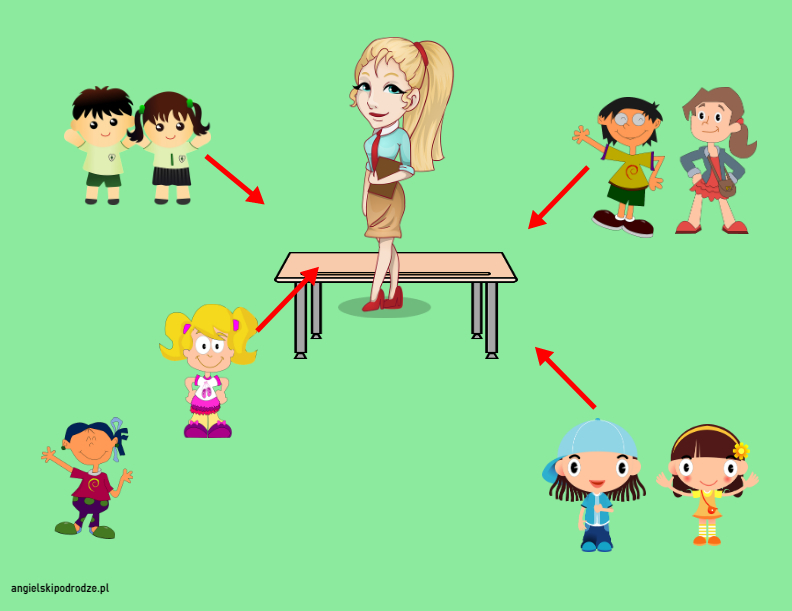 Split the learners into small groups (2-4 students). Give each team a copy of the example sentences – worksheet 1 – example sentences with shopping phrases and two sets of cards: the phrases cards and the definitions cards – phrases and definitions cards . In order to elicit the meaning of the phrases in bold, ask the students to read and study the example sentences. Then, based on the sentences, have them match the phrases with their definitions. In your groups read and study the following sentences. Then match the phrases with their definitions. Every time she gets upset, Alice goes window shopping. Looking at window displays is all she needs to cheer up. January is the best month to look for real bargains. I’ve just bought this jacket for $60! In December it was $160! Marta has been dreaming of moving to a house with a little garden, but she can’t afford to buy it right now. She needs to save much more money. If you buy more than four items, they will get a 15% discount. Otherwise you will pay full price. If the phone is broken, you can still return it to the shop and ask for a refund. I think getting the money back is faster than waiting for a new phone. Look at you! This dress is wonderful and it fits you perfectly well. You will look gorgeous at the wedding ceremony. I would like to make a complaint about the quality of the coffee maker I bought on March 5th in your store. The machine stopped working after the very first use. Products returned under warranty are replaced with the same model. He’s not only lazy, but also very rude at times. The other day I saw him jump the queue in a shop. He didn’t even respond to the complaints from the people who were waiting in the line. Let the students stay in the same groups or form new ones. Give each group a stack of cards with the phrases written on them. The competition starts with you reading a definition of a phrase. Once students hear the definition, in their groups, they select the correct phrase from the cards. The designated student runs to the designated spot and puts the card with the correct phrase on the table. The group with the winning student earns a point. A news student is designated for the next round, and so on. The group with the most points wins. Working in groups students complete the sentences using the words in brackets in their correct forms – worksheet 2 – complete_sentences_activity . Complete the sentences. Translate the words in brackets into English. 1 I would buy this model ………………………..………………………. (gdyby było mnie na niego stać). 2 It’s a wonderful dress, but ………………………………………….. (mi nie pasuje). 3 I tried on the blue jacket, but it isn’t …………………………………………….. (jest za drogi). 4 I ………………………………….. (chciałbym) make a complaint about one of the products I purchased from your company on March 1. 5 A: ……………………………………………………. (Zamierzasz zwrócić) this phone? B: Yes, I am. Fortunately, it’s still under warranty. 6 You …………………………………………………. (dostaniesz zwrot pieniedzy) only if you show the receipt. 7 The good news is that I ……………………………………………….……. (dali mi) 15% discount. 8 Why ……………………………………………….. (A może byśmy poszli na zakupy)? At this time of the year we may find a real bargain. 9 As soon as he .………………….……………………….. (wepchnął się do kolejki), he discovered that all the tickets were sold out. 10 …………………………………………….. (nie ma wiele) shops in the area, so it’s not a perfect place for window shopping. You can check the answers with the whole class using the mini-book below. At that stage allow your learners to act as their own teachers and let them correct their papers with a different colour pen. They really like it.